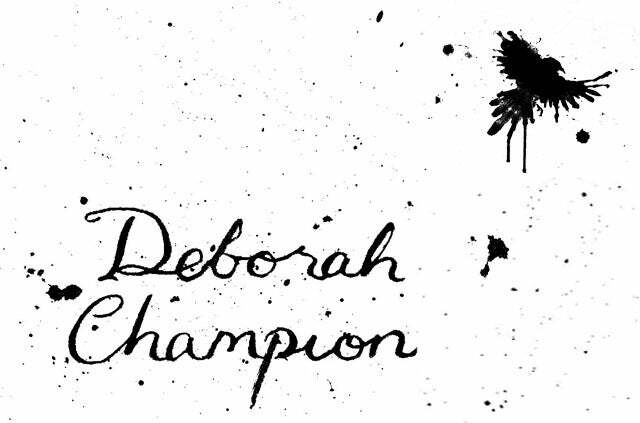 My name is Deborah Champion and I dislike writing artist statements. I like drawing. In fact, I love drawing, it's my favourite. In order to cure my self of a horribly realistic painting style, I started screen printing. Printing is exciting, peeling each new print off to see what you've got. I love to print. I experiment with patterns to convey secret meanings. It's hard to portray a secret world in a somewhat graphic medium and patterns is how I do that. I find these patterns work well with screenprinting. Sometimes I print them on cards; I do this because it means that I get to do more printing, which makes me happy. I hope you will buy some prints, because then I can print some more, and I'd like that. I'm dedicated to creating affordable small art prints so everyone can enjoy real, original artworks in their home. My name is. I am an artist, and I am not delicious with toast.